2. How to delete entries? Android phone has two types of menus, (1) "Menu" which is accessed through MENU button and (2) "Context menu" accessed by "long-press" (about 2~3 seconds) on icon or list items on screen. 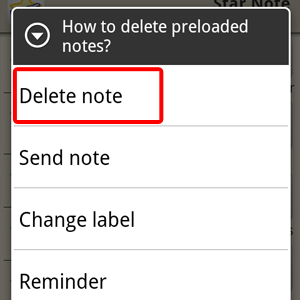 Orange Diary keeps all the item specific options in Context menu.